Vision:The Sabah Society for the Blind aspires to develop the blind and visually impaired as persons of quality, and to promote their independence and integration into society. Mission:To advocate the rights of the Blind and Visually Impaired (BVI) persons and to provide them with the necessary support, services and opportunities to achieve a life of quality. Objective: To Promote the education, employment and general welfare of blind persons and to facilitate eye care and blindness prevention programmes in Sabah. In pursuance of the above, the society shall:- a) Establish, equip, maintain, support or provide institutions, services and facilities for housing, training, educating and caring for blind persons. b) Affiliate, associate or to enter into co-operative arrangement with any non-profit oragnization with similar aims and object. c) Disseminate and distribute information, instruction, literature and advice for the prevention of blindness. d)assist persons of defective vision by providing aids and facilities and medical and surgical treatment in needy and deserving cases. History: 1962:Volunteer work for the blind had already commenced in 1962 when the Wallace Training Centre for the Blind was set up in Tuaran by the North Borneo Red Cross Society and Jesselton Rotary Club. The centre is presently known as Wallace Sheltered Workshop and functions as a sheltered workshop to cater for the needs of the blind that have been trained in various specific fields but is waiting to secure employment. it also provides as temporary accommodation to deserving blind members and those in dire straits. 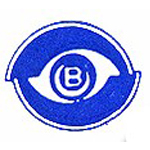 1966:The Sabah Society for the Blind was established on 15th April, 1966. 1971:The Sandakan Branch was established in 1972 when training activities of the Wallace Training Centre were shifted to Sungai Manila Sandakan and is now known as Taman Cahaya Training Centre for the Blind, Sandakan. 1997:The Keningau Branch was set up. 2001:The Tawau Branch was established.